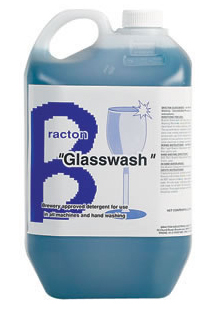 Bracton Glass Wash has descaling properties to help maintain clean hygienic equipment. It is a concentrated, high performance, non-hazardous liquid glass wash detergent. Brewery approved for both hand-scrubbing glasses and for use (when diluted) in all major brand glass washing machines. Glasswash R.T.U. Green Label is a diluted detergent suitable for all glasswash machines. Already diluted, it makes it easy to fill detergent reservoirs, as no mixing is required. May also be used to hand wash or scrub glasses. Removes lipstick. Recommended by Norris and Washtech glasswash manufacturers. Prevents mould and fungus growth within machines and also reduced corrosion and scaling. (non-hazardous formula). 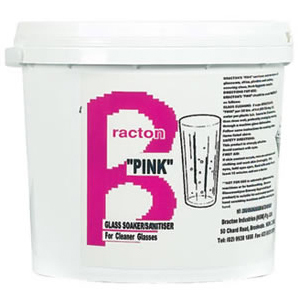 Bracton Pink Soaker Sanitiser is ideal for mixing as a soaking solution in a tub. Soak glasses in trays in this solution for 5 to 10 minutes then simply run through your glasswasher. Glasses will look new again. Many hotels soak glasses weekly. For Glass machine & Ice machine Care. Available in 5kg. 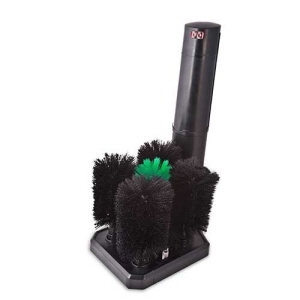 How to thoroughly clean beer, wine, and other drink glasses, free of odour, aftertaste or unpleasant residue? 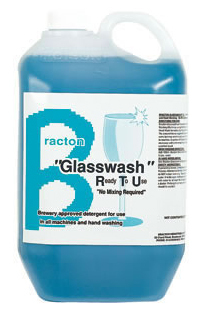 Bracton's Speedy Glass Cleaner & Water Control System (SGC system) is the latest in beer and wine glass cleaning technology. With its unique, easy to use, fast counter rotating brushes, the Speedy Glass Cleaner system fully ensures that glasses are clean. Lipstick, scale and debris is quickly and easily removed from both the inside and outside of the glass.